Without a doubt, a test plan lacking in comprehensiveness will handcuff the QA team and severely hamper the overall QA effort. For most of our clients, one of the least loved aspects of the QA phase is the writing of the test plan. Whereas their intimate familiarity with the product suggests that they are qualified to write test plans, more often than not, that same familiarity tends to result in oversight and incomplete plans. Your solution: Hire Beta Breakers to write your test plans. The fact is we have experts on hand who can review your products and write a fully comprehensive test plan free of bias. Our test plans outline the strategy and scope of testing that will be the most efficient and cost-effective for our clients. The truth is that, over the years, many Fortune 500 firms have leveraged our objectivity just to write their test plans. From the initial review to the final report, every phase is handled with equal attention and effort. We know that we appear to be ‘tooting our own horn’, but we are good at what we do. Allow us to help you with test plan writing and we will prove it. What is the Purpose of Test Plan Writing? The purpose of test plan writing is to create a tangible blueprint for the overall quality assurance effort. 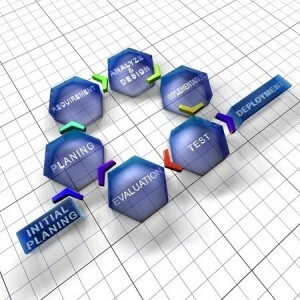 What is the Methodology for Test Plan Writing? The testing of larger, more complex applications generally benefits from the creation of a comprehensive test plan. At Beta Breakers, we compose test plans that typically include timelines for achieving milestone objectives and/or deliverables, the definition of those objectives or deliverables, team size, and most importantly use cases. Detailed use cases are composed to ensure that every aspect and feature set of the application under test are fully exercised. Our test plans are designed to be a tool for the test team – a road map to follow in order to meet our clients’ schedules and cover the application for intended functionality and/or platform compatibility.